If you’re not sure if this is 100% for you, then why not arrange a Sidemount try dive? I will be providing the Apeks WSX25 or Diamond harness and wing system, weights, 2x 11ltr aluminium , 2x 10ltr steel or 2x 7ltr steel cylinders depending on your preference. Configured with a full set of Apeks Sidemount regulators. All you need is your mask, fins, computer and your usual exposure suit for the occasion. 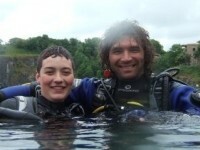 To be eligible for a try dive, you must be 18yrs+, Advanced Open Water or equivalent with min 25 dives. Please bring proof of certification and medical certificate if needed. Happy to accommodate group try-dives. Dates of future try-dive events are listed on the online calendar and on Facebook. Once you’ve tried it on the side…you’ll never go back !!! This dive experience will open the door to experiencing breathing underwater and the sense of exhilaration! This introduction is designed to exhibit the technology and ease of Open Circuit diving, in a pool or a confined water environment with pool like conditions. Be a minimum of 12 years old (adult consent needed if under the age of 18 years). Short academic presentation and quick quiz. 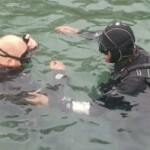 Confined water – underwater fun and skills on open circuit scuba. Your introduction will be in a low-stress environment. After determining you have basic swimming skills, your instructor or Level 4 Dive Master will demonstrate the required skills for you to swim underwater, whilst breathing on open circuit scuba. This is NOT a certification programme. However, you can start your Level 1 certification programme anytime.